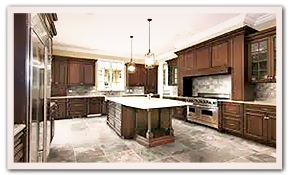 Brite Kitchen Refacing believes in customer satisfaction and quality service. 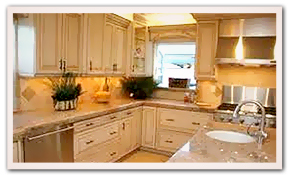 A family owned and operated company with decades of experience in the Richmond, VA area – we can answer the questions you may have about our process and/or kitchen products, kitchen cabinet refacing, and related kitchen remodeling questions. Q: How can I be sure the cabinets will hold up and not de-laminate? was less reliable than today. But with the new durable and tested adhesives, de-lamination is no longer an issue. A: There is a 10 year warranty on the reface process and a 1 year standard manufacturer's warranty. Q: How long does it take to reface cabinets? A: The average kitchen cabinets take 4 to 5 days. Q: Can we still use our kitchen while work is being done? A: Your kitchen is still functional after the workers leave. Q: When I reface my cabinets do I get new doors? A: Yes, you will get new doors, whatever style you choose. When we are finished you can have a whole new look. Q: If I have Oak cabinets, do I have to stay with a Oak reface? A: No, you can choose any wood species, stain color and style you like. This will look like you have pulled your old cabinets out and replaced them with new cabinets. Q: If I reface do I have to keep the same kitchen layout? A: No, we can do modifications and then reface your cabinets. Contact Jerry and Charlene Bartolotta of Brite Kitchen Refacing today at 804-370-7454 to schedule your appointment to brighten up your kitchen. You get total customer satisfaction and top-quality service from Brite Kitchen Refacing – it's what we believe in! We have served the Richmond, VA area (RVA) since 2001. You can count on, and trust, this family owned and operated company for years to come.